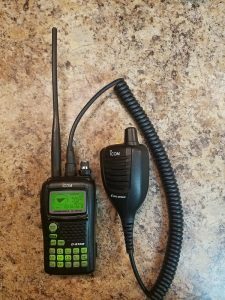 The HT workhorse when i don’t use a commercial radio is 2007 model IC92A with a GPS Microphone. 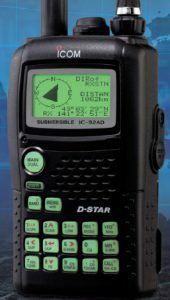 Originally purchased for its D-Star capability, it is now my primary ham-HT. Other than the price and the “old fashion” programming interface it is a swiss armyknofe of a radio on FM-analog and DStar. 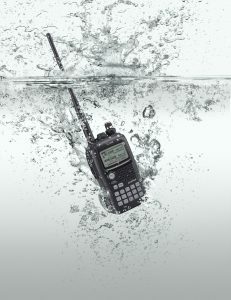 The GPS microphone is weatherproof and thus you can keep the radio protected.